We would like to wish all of our customers, partners, suppliers and friends a very Merry Christmas and a happy, healthy and prosperous 2015! We know that many of our customers don’t have the luxury of taking a couple of weeks off over the festive season… so we don’t either! We are closed on Christmas day, Boxing day and New Year’s day but will be open as normal – including out of hours support – for the rest of the holiday period. 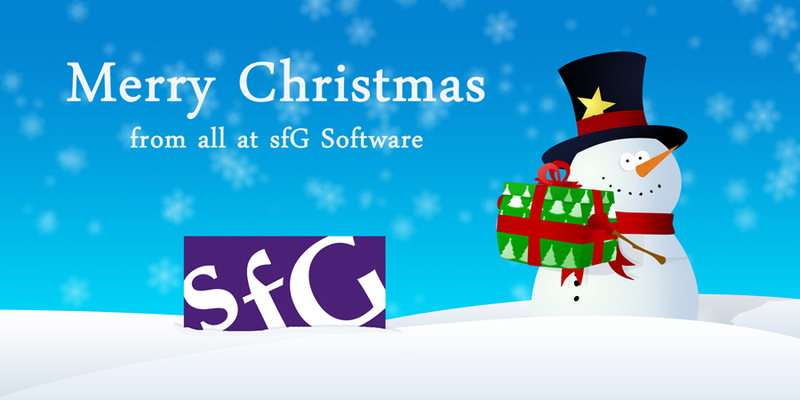 We’ve had a very good year at sfG in 2014 and have welcomed many new customers along the way. We’ve also welcomed two more highly experienced members to our team to help with the extra growth and ensure that the level of service is maintained. Thank you to everyone involved. Have a great time over the festivities – we look forward to working with you in 2015.